As we know very well that iPhone is designed by Apple and its pipeline of "Smartphones". iPhone basically runs on Apple's IOS mobile Operating System. IOS is the base of iPhone and it comes with high collection of apps that allows you to do day-to-day tasks easily. Recently "Apple" has launched new IOS 8 Operating System that comes with huge updates for apps which you can use daily for photos, videos and messages. Also it has introduced new method to share content with your friends. For iPhone mobile user photo and video shooting is a daily routine and due to remarkable performance of iPhone camera, many users take photos, selfies and create memorable video clips with iPhone in comparison of another mobile camera. It's very risky to store all media in the one handset and have you ever thought what would happen when you delete photos or video accidently? 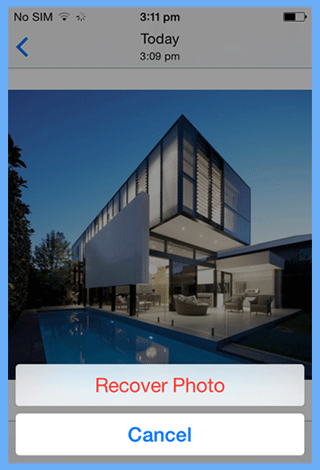 Don't be worried about how to recover deleted photos and videos on iPhone because IOS 8 comes with "Recently Deleted" recovery feature that allows you to recover deleted images from iPhone. Note: The feature of "Recently Deleted" recovery function of iPhone IOS8 has default settings to keep the deleted photos and videos for 30 days. If the retention period crosses then it permanently deleted from the iPhone. This tutorial is going to show you the procedure of iPhone deleted photo recovery. 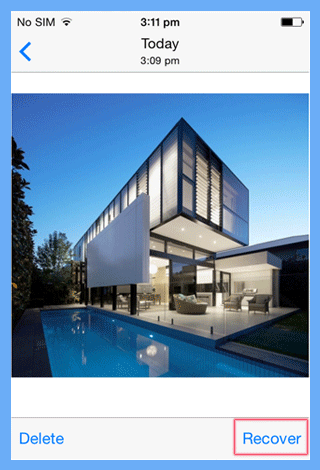 Follow below mentioned procedure step by step. 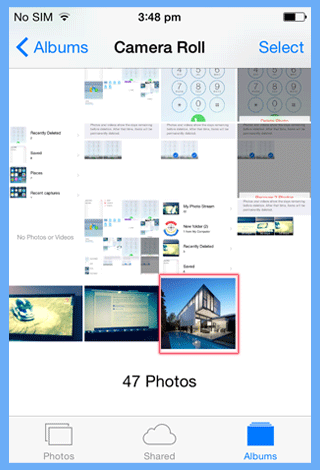 Once you successfully execute this process, then the photos that were accidentally deleted will automatically get back its original location. You can also perform this process to recover deleted videos from iPhone. 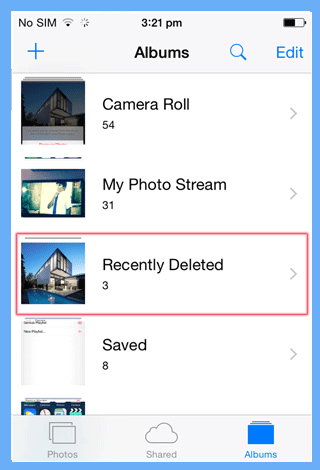 Conclusion: In this post we learned about the process of how to recover deleted photos from IOS 8 with "Recently Deleted" recovery option within 30 days. 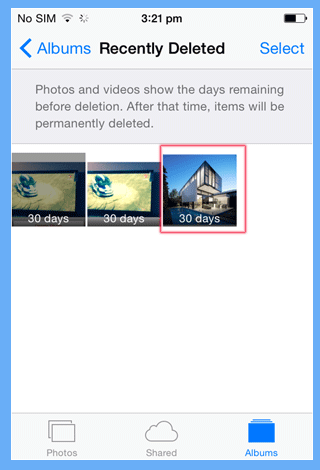 To secure photos or videos of iPhone user should take a backup of it either weekly or monthly. In the absence of a backup, the user follows this above method which we discuss above in this segment.